Ferncliff’s commitment to serving the families of Springfield and Clark County is deep-rooted. 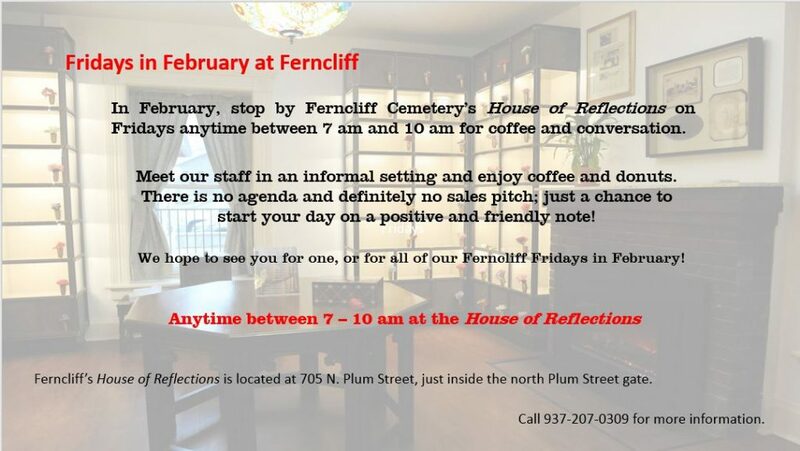 For more than 150 years, Ferncliff has upheld uncompromising standards: a knowledgeable, respectful staff to ensure that the legacy of you and your loved ones will endure for generations in a resting place of beauty and tranquility. Our status as a nonprofit organization sets us apart. Because we are driven by service rather than revenue, we truly dedicate ourselves to “people, not profit.” You will experience that dedication every step of the way, whether you are preplanning your own end-of-life wishes or carrying out those of a loved one. Each member of our team, a seasoned death-care professional, sincerely listens to your wishes. Then, acting as your personal consultant, they will provide advice, insights and practical suggestions. Your questions and ideas are always welcome. We recognize that the wishes of each family are unique, so we offer custom suggestions and we share a common goal: your complete satisfaction.